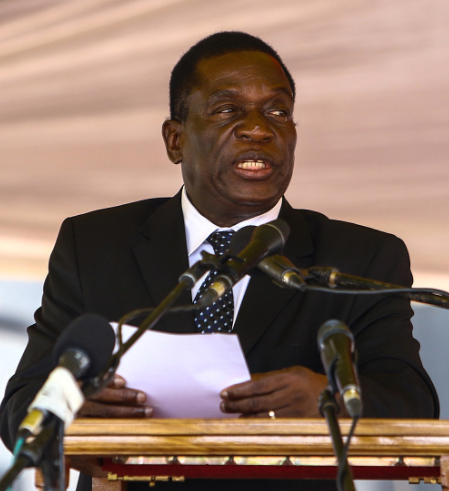 Former Zimbabwe vice president Emmerson Mnangagwa, addressing a crowd after his return to the country, promised to grow the economy, according to BBC reports. Mnangagwa who fled to South Africa after he was fired by Robert Mugabe is expected to be sworn in on Friday following Mugabe’s resignation on Tuesday. “We want to grow our economy, we want peace, we want jobs, jobs, jobs,” he said to a cheering crowd in Harare. He gave the speech at the Zanu-PF headquarters, making his way directly there from the military base he arrived at from Johannesburg. He added that he has been in the receiving end of several assassination attempts, and thanked the military for the process of removing Mugabe peacefully.